The All India Majilis-e-Ittehadul Muslimeen (AIMIM) is officially in the battlefield now. HYDERABAD: The All India Majilis-e-Ittehadul Muslimeen (AIMIM) is officially in the battlefield now. The party on Tuesday kicked off their election campaign with the release of the first set of names, seven of them, for the upcoming polls. Of the seven names announced, five of them were MLAs who were allowed to retain candidature in their respective Assembly seats. Current Yakutpura MLA Mumtaz Khan has been asked to contest from the Charminar constituency and current Charminar MLA Syed Ahmed Pasha Quadri is set to contest from Yakutpura. Chandrayangutta MLA Akbaruddin Owaisi who recently made news with his comments on AIMIM’s aspiration for the Chief Ministerial post, will contest from the same constituency. It may be noted that Akbaruddin has held Chandrayangutta since 1999. Apart from that, legislators Mohammed Moazzam Khan, Ahmed Bin Abdullah Balala, Jaffer Hussain Meraj and Kausar Mohiuddin will all contest from their respective constituencies - namely Bahadurpura, Malakpet, Nampally and Karwan respectively. 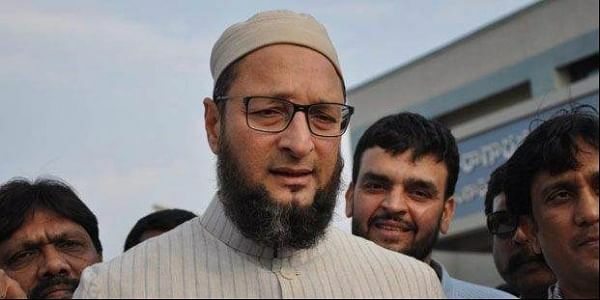 AIMIM chief Asaduddin Owaisi speaking to mediapersons said, “All our legislators have started campaigning in their respective constituencies.” The MLAs have begun canvassing for votes and are meeting community leaders and have also started door-to-door campaigns. AIMIM chief and MP Asaduddin Owaisi slammed the BJP government for the rising petrol prices of petrol and diesel, and said that the Centre was inept at handling foreign exchange rates. 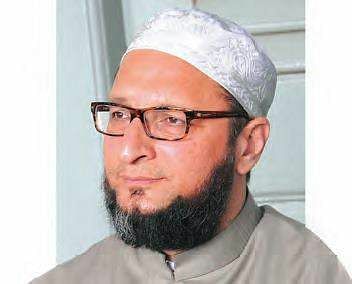 Speaking to media persons on Tuesday, Owaisi said, “In the history of our country, we have never had a weaker rupee. “And mark my words,” Owaisi said, “Inflation is going to increase in the country very soon.” “In 2014, popular godmen vouched for him and said that the dollar exchange rate would reduce to `40. Now these men are absolutely quiet,” he said.